Long live the king. 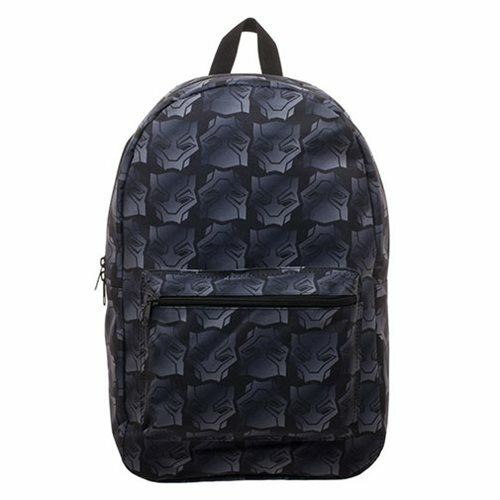 Show your Marvel pride with this Black Panther Movie Logo Sublimated Backpack. Made of polyester, the back measures approximately 17-inches x 12-inches wide x 5-inches long. Ages 14 and up.